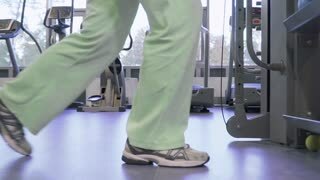 Senior woman running on treadmill. 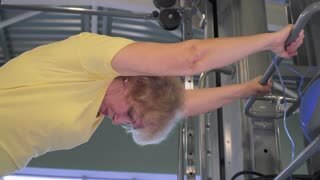 Smiling elderly female training at gym and listening to music. 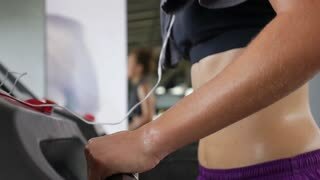 Always be in shape. 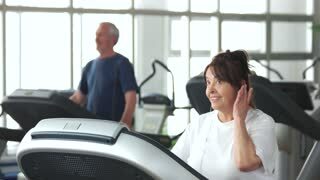 Senior woman running on treadmill at gym. 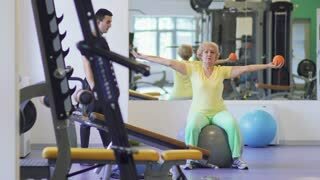 Elderly woman runs on treadmill and looking at her smartphone. 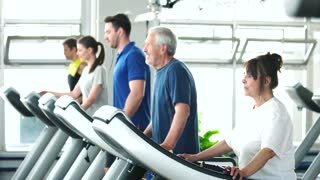 People, sport and technology.